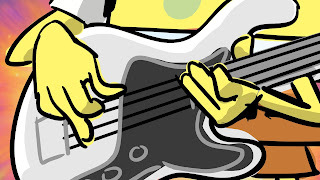 Who lives in a Pineapple and plays bass? 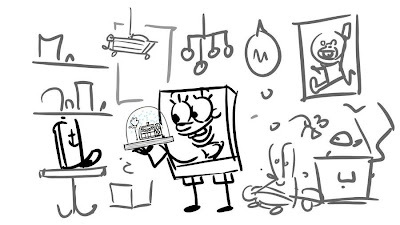 Here's an extremely quick cut from a deleted scene from the SpongeBob Movie 2. Don't blink or you'll miss it! 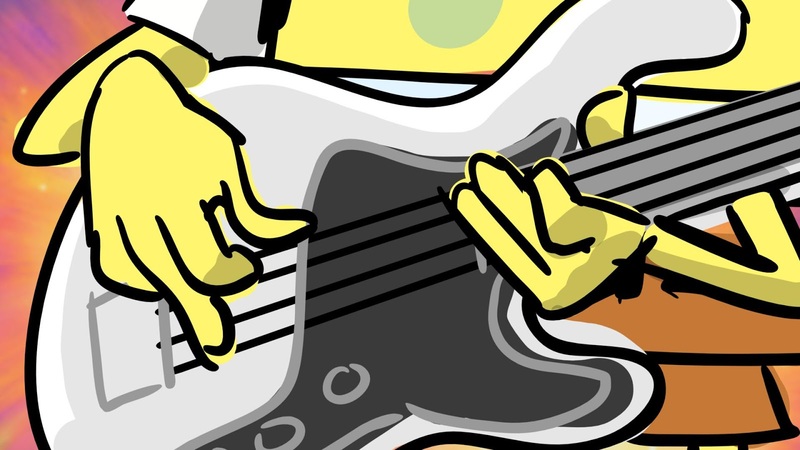 It's really a deleted scene from a deleted scene; It used to be part of the "Thank Gosh it's Monday" song, which you can see here: http://youtu.be/ImJtoDcb1zo The bass part was never animated, but it would have been at around 1:13 in the clip. 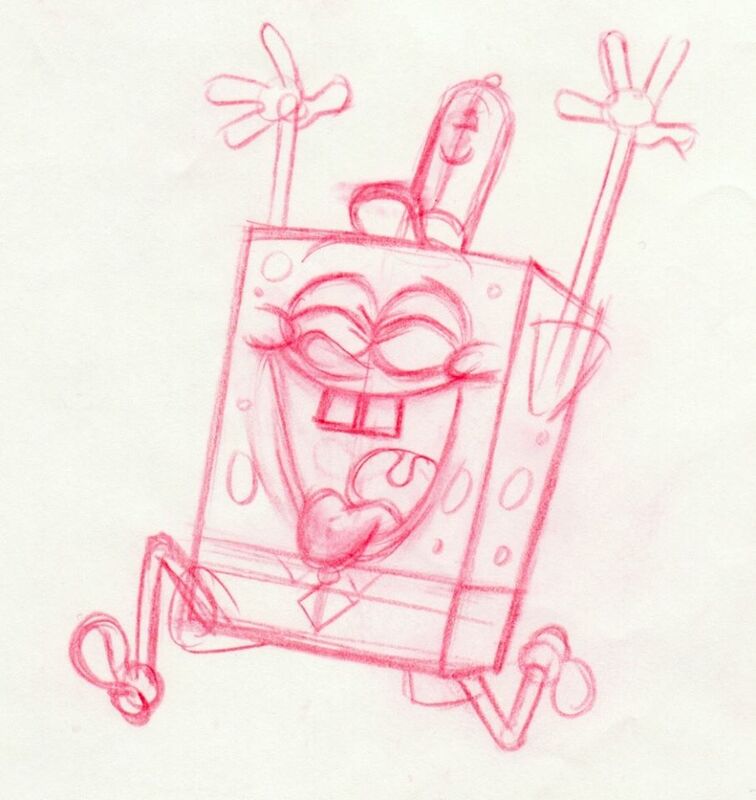 The new SpongeBob Movie 2 is in the theaters and #1 at the box office! I worked on the movie as Sequence Supervisor...and now that it's in theaters, I can finally start posting my artwork from the movie! -- Can you remember which scene this was from? In this earlier version, the Post-Apoca-Whatcha-ma-call-it started earlier in the picture. Mr. Krabs appeals to the angry mob of hungry customers. 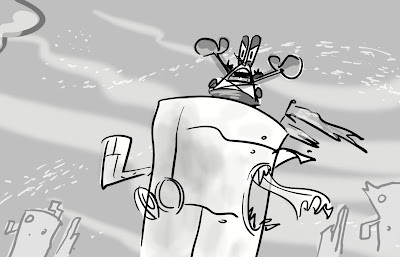 Rough storyboard panel from the opening scenes of the new SpongeBob SquarePants Movie. 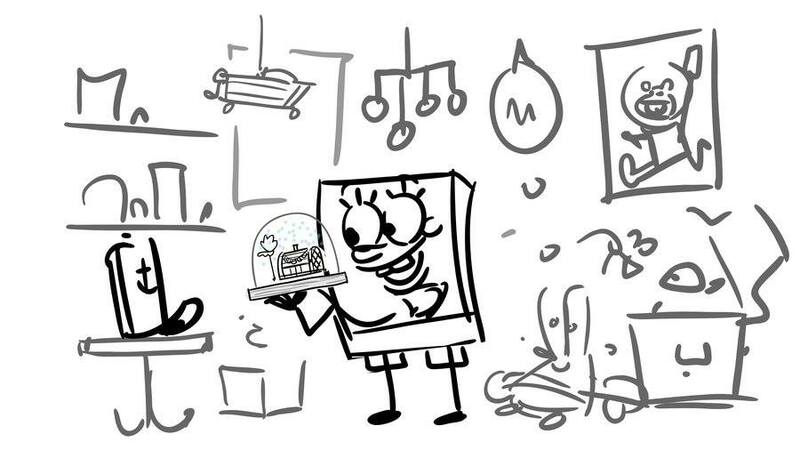 SB loves his Krusty Krab snowglobe (which rains down Krabby Patties instead of snow). Shot lasts about 1.5 seconds in the movie. 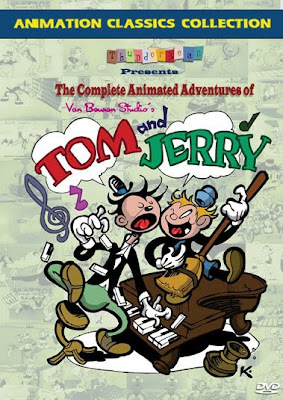 Thanks everybody for making the movie #1 ! !